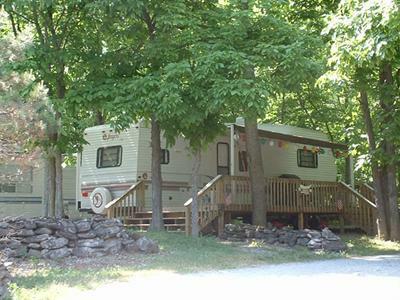 Genesee Country Campground in Caledonia, New York has facilities that campers want! Our facilities are especially well suited for groups. 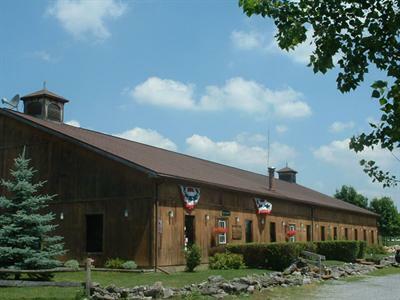 Our large pavilion is available for group activities. Plan your special event with us, or join us for some of our scheduled activities. 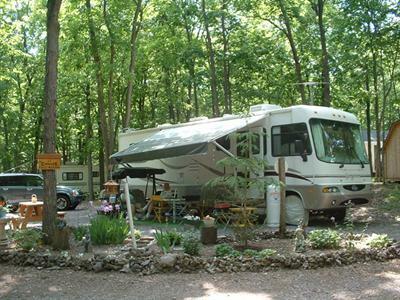 Here at Genesee Country Campground, we know that not everyone is interested in pulling a trailer, driving a big motor home, or sleeping on the ground, so we've got Cabin Rentals available to you. 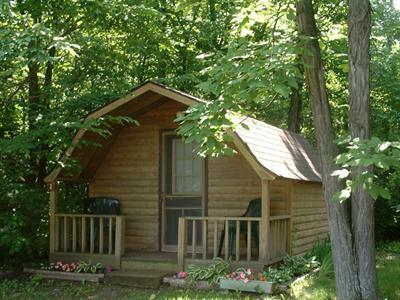 Our rustic cabins provide a beautiful deck for you and yours to get out and just sit and absorb the nature that surrounds you. What a great way to spend a morning, with a good cup of coffee and good company! Genesee Country Campground also offers a playground area for the kids to work off energy and build up an appetite for some great camp meals. Our playground occupies them for hours as they climb over, under and through ¿ imagining themselves to be the captain, or the hunted! There is a great tube slide for them to play in, too ... something for everyone when you're just a kid!